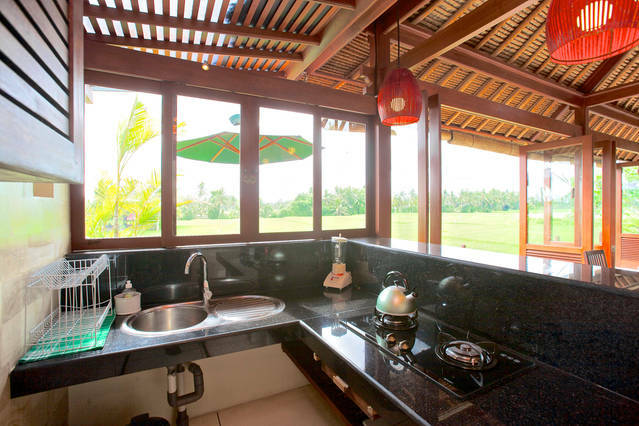 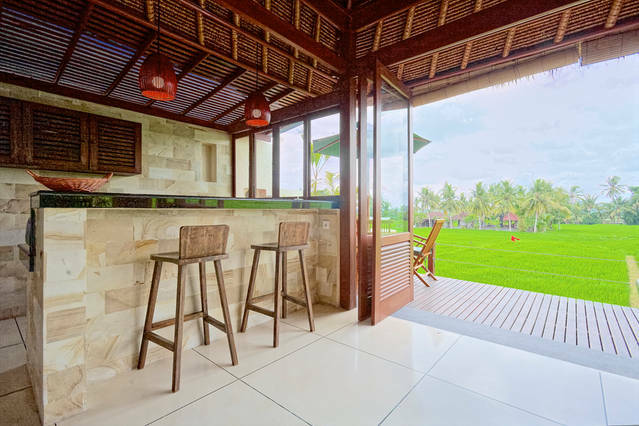 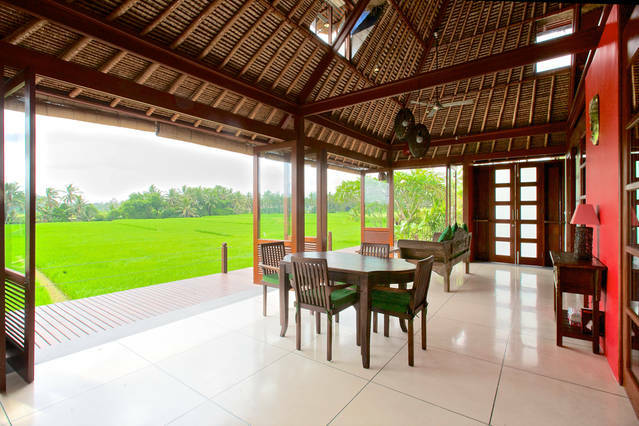 Designed to celebrate tropical sophistication, two bedroom Villa Sungai endorses the healthy benefits of fresh air and natural lighting with an open living, dining and kitchen space overlooking an ocean of rice with a small stream below. It’s a perfect spot to spend hours relaxing and swimming in the beautiful infinity pool right on the edge of the raised bluff. 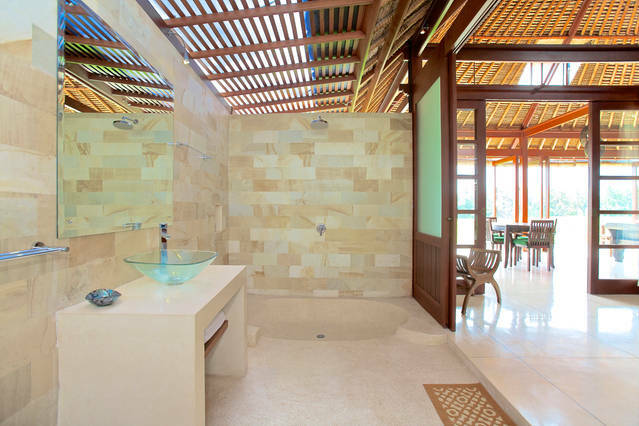 The Villa is a granite, terrazo and bamboo masterpiece with a soaring ceiling structure that’s a work of art in itself. 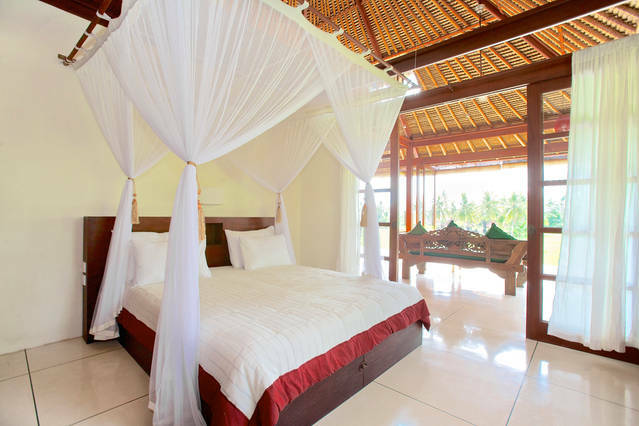 The master bedroom is a sanctuary for adult relaxation while the second bedroom is set up with either twin beds for accompanying children or a double for adults. 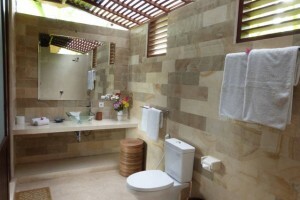 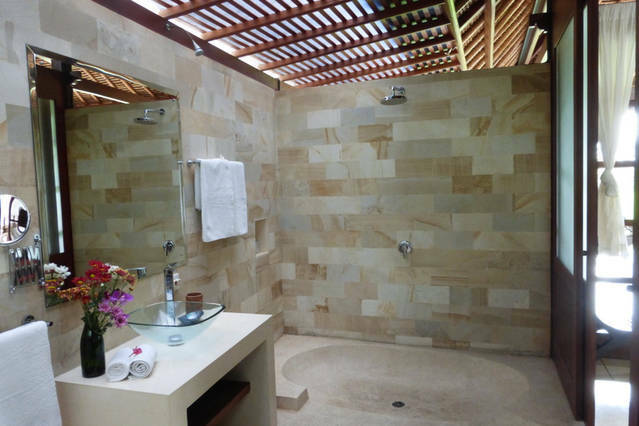 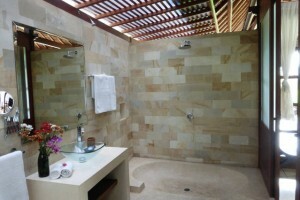 Two en-suite bathroom facilities features rain showers for luxurious bathing experiences. 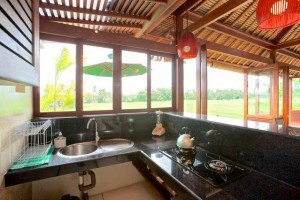 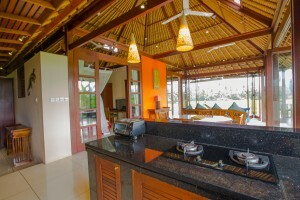 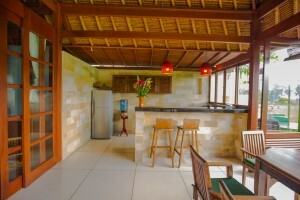 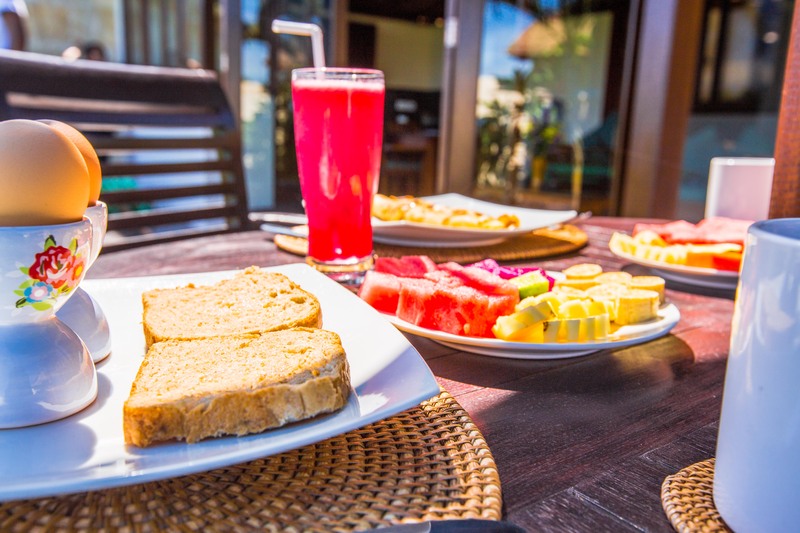 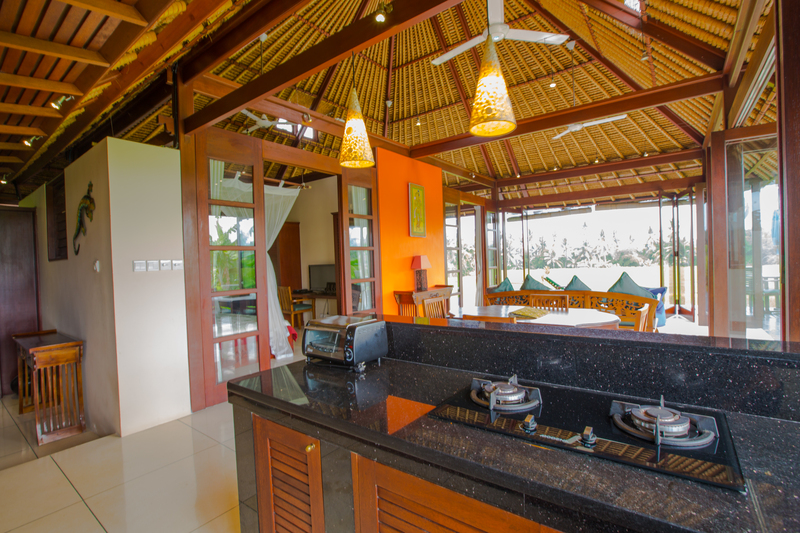 The kitchen has a breakfast bar and is well equipped for casual food preparation or a more elaborate dinner. 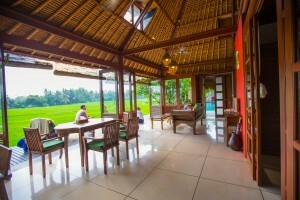 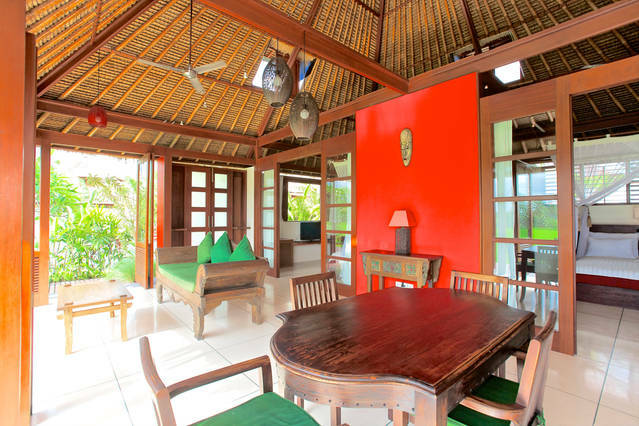 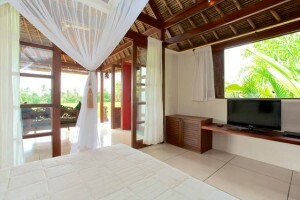 The living room is tastefully furnished for relaxation with a large teak dining table and traditional Javanese sofa. 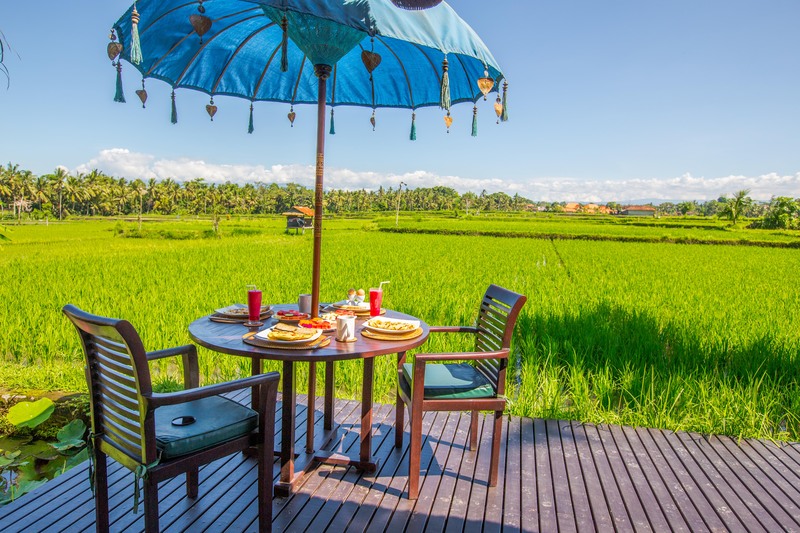 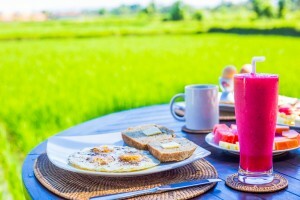 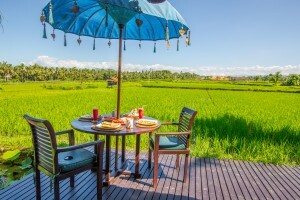 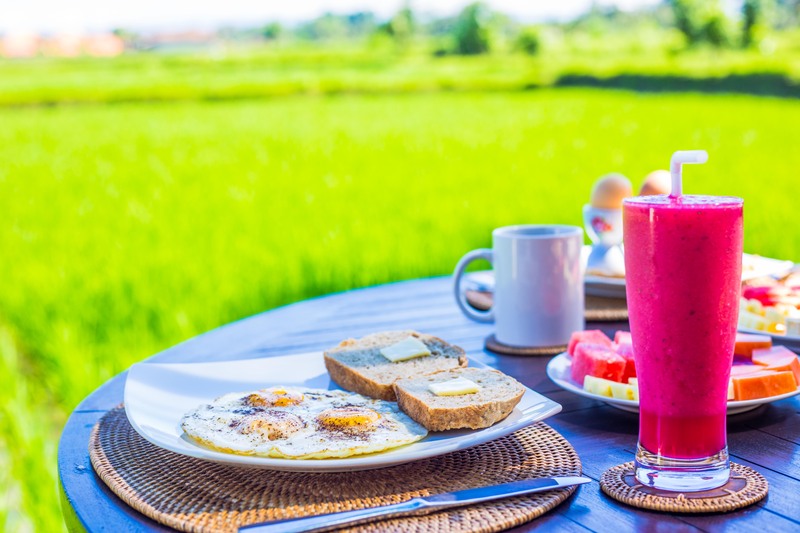 One of the favorites of Sungai’s guests is to awaken before dawn and watch the early light lift the mist over the ocean of rice a few meters below the expansive deck with coffee in hand. 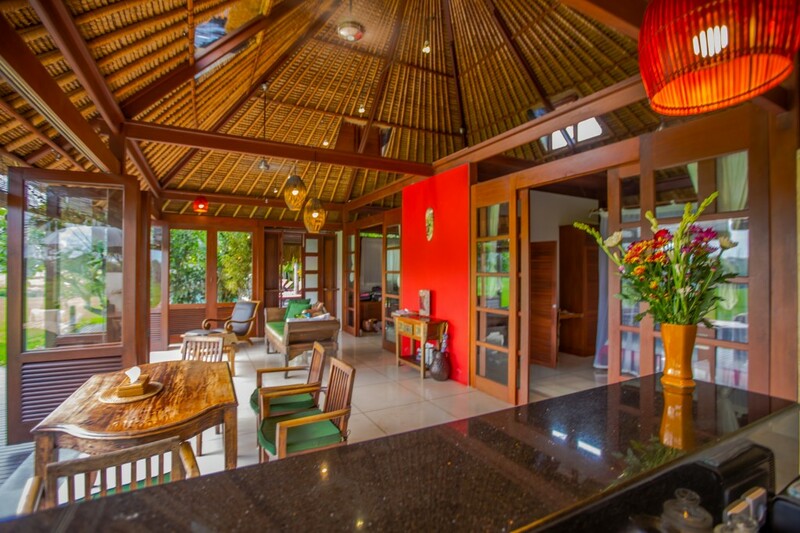 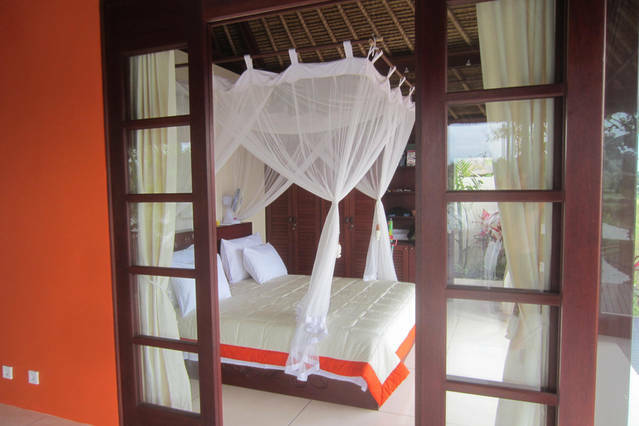 It’s an experience like no other in Bali.